The annual Chapel Allerton Arts festival takes place this year between 31st August and 6th September with a range of events and activities for all ages - there's film, art and music at various venues across Chapel Allerton. As has become tradition, the Seven Jazz team led by Steve Crocker are putting on a full day of Jazz to end the festival on Sunday 6th September. For £3, audiences can see live jazz from 12.30pm until 6.30pm as well as enjoying the sunshine (hopefully!) and food and drink stalls run by local producers and businesses. If that isn't enough jazz, you can also see jazz singer Tessa Smith lead the Community Choir at 3.15pm, Hassan Erraji at 7pm and A Dread Supreme at 9pm all on Saturday 5th September. 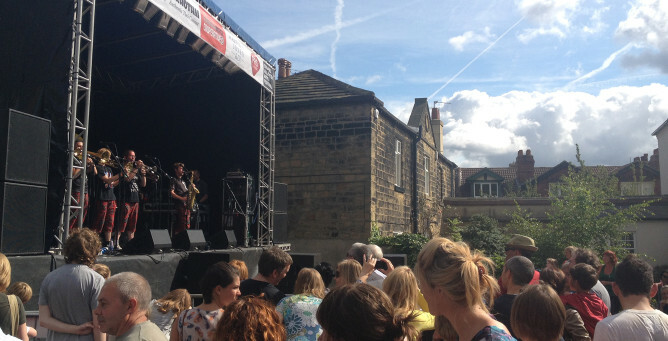 For more information on the programme, visit the Chapel Allerton Arts Festival website.